Aluminum Compression Lugs | Copper Compression Lugs | Cal Fasteners, Inc.
Cal Fasteners offers a wide range of compression lugs in both aluminum and copper. 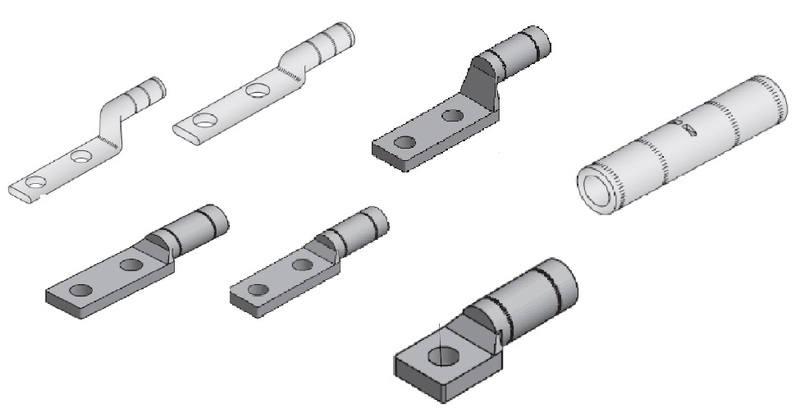 We stock one-hole compression lugs, two-hole compression lugs, and other variations in numerous sizes and capacities. All models are available in insulated or non-insulated versions. Compression lugs dual-rated for use with aluminum or copper conductors are available. Tin plating is available (optional) on many models—tin plating provides low contact resistance and excellent corrosion protection for superior performance and long working life. Please see individual product listings for full specifications. Request a quote on compression lugs for your application, or contact Cal Fasteners to learn more.